if hes 5'11, then I dont care nearly as much. You’re a liar and misleading people if you say 5’7. I will never come back to this board again if he measures under 5’8... you want to make the same wager if he measures over 5’8? Flutie is 4' 11" . Is he getting short with you? Serious question ... Are you mentally challenged? Where the hell did you get 5'8" and that's not even the problem ... a 5'11 and 6'0 person are 4-6" taller than a 5'8" person? Have your mommy help you with the math. There was discussion on the radio that he is anywhere between 5'6 and 5'10, hence the range. Ignoring the rest of your rant, have a nice night guy. Yeah but they made Flutie stand in a 6" hole ... that's why you cant see his feet. Another serious question ... If Murray who is listed at 5'11" is really 5''6" ... Is Flutie who is listed at 5'10 really 5'5" ? Well if everyone that plays football is actually 4 inches shorter than they are listed than isn't it all relative? And they update his player profile as he shrinks ?? Murray hasn't been through a combine. FWIW, I don't think he's 5'6. But I'd bet he's shorter than Wilson. no. I'm saying its possible he was listed taller than he really was when he played. it's also possible that he wasnt listed taller, but that he lost height as he aged, since most people do. eta: a man measured 30 years ago at 5'10 looks short standing next to a KM reportedly 5'10, so people assume KM has to be taller. they ignore the very real possibility that the man measured 30 years ago could very well be 2 or 3 inches shorter today. especially if he played a violent game for his career. I'm not saying Murray is 5'7. I already gave my prediction above. I think he is shorter than 5'10, but taller than 5'9. People that can't do basic math shouldn't be judging talent. I'll actually cheer for the kid unless he plays for a team I don't like (he'll probably play baseball anyway) but you can't fault people for calling him short. Or small. NFL Network's Ian Rapoport reports NFL scouts he's spoken to grade Oklahoma QB Kyler Murray as a second- or third-round pick. RapSheet also made it clear that Murray's decision to submit his name as a 2019 draft prospect does not necessarily mean he will play in the NFL. Murray's agent, Scott Boras, has told the Oakland Athletics his client will report to spring training on time in April. At just 5-foot-9, Murray has been bantered about as a potential top-ten pick. A day-two draft selection seems more likely considering his size and questionable-at-best dedication to football as his primary sport. Ex-NFL GM Mike Lombardi is "not buying" speculation Oklahoma QB Kyler Murray will be an early first-round pick in the NFL draft. Many seem to be assuming Murray will go top ten, and Lombardi went to great lengths to praise Murray's arm strength, athleticism, and accuracy. But decision makers inside the NFL will inevitably be terrified of 5-foot-9 Murray's stature, and Lombardi suggests Murray making himself eligible for the NFL draft is merely a ploy by agent Scott Boras to get his client more guaranteed money from the Oakland A's, who took him No. 9 overall in the MLB draft. 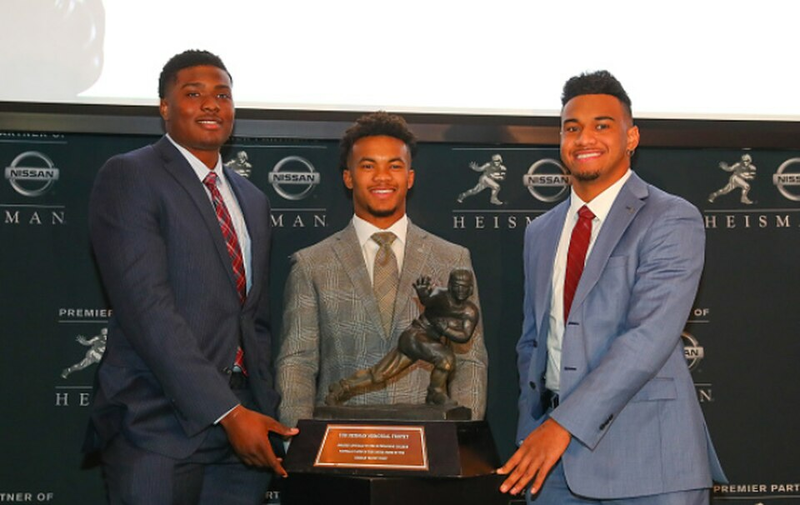 Will QB-needy Redskins target Kyler Murray in draft? 5'8" would be below 5'9"... which would prevent me from eating my shorts. I still lean 5'7".. which doesn't make me a liar. It could make me wrong .... about the height of a kid that plays football. I can live with that. Either way chill out a bit ... You seem like you want to fight over it. I am a liar, and my posting is unacceptable, and he is not going to stand for it. Unless they are combine, barefoot back to a wall, objectively measured.. these numbers are worthless. We now have 4 different heights (5'9", 5'9 7/8" (with socks of course), 5'10", and 5'11" twice) for the player this thread is about... AT BEST only one can be right, which still demonstrates how worthless the numbers are in general. eta - I find this stuff fascinating, not sure why it is getting under people's skin. You want to be a pro distance runner you can;t weigh 200 pounds, it will not work. You can't be a skinny NFL RB. And you cannot be as small as Murray and expect to have an NFL career as a QB. Yes, as a ulility/do it all athlete, absolutely, guys far smaller than him have starred, just not at QB. You shrink when you get older. I would be excited to see him go to the NFL. I think most are wrong to judge him for his height. That being said, the announcement feels like a bit of tactic by Scott Boras to push for entry level baseball players to get better contracts. The NFL is probably going to respond the way most have around here which is extremely uncomfortable with a 5’9 QB (even though the game has gone to something close to 80% shotgun snaps). It just doesn’t compute with the old school mentality despite the athleticism, the efficiency and playing in the Big 12. I expect to see him in Spring Training before I expect to see him at the combine. I made a joke about it - but it actually is true. Flutie could have lost at least an inch since his playing days. It's pointless to argue or show photos (where the angles or leans can be misleading) to prove how tall/short he is - we'll all know soon enough. Or we wont... which I think is more likely. Kyler and Flutie. And Flutie is what, 5'8"? 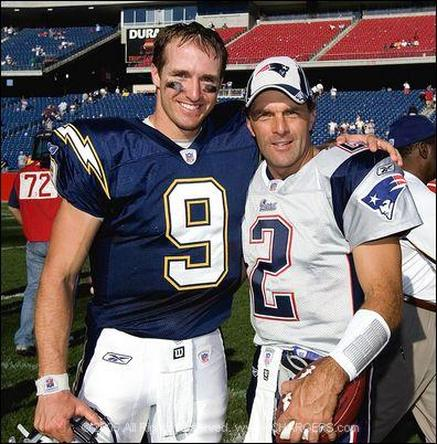 Note that Flutie is in front of the camera so he should look taller but isn't. He could be leaning or slouching or the difference in hair could make him look taller - so like I said all of this is just "noise" and it's meaningless until he's actually measured (or not as @Bojang0301 said). Mike golic just said he is 5'9 possibly 5'8. Shannon Sharpe says he is 5-9 tops...Flutie had some good years so even though he is short Murray can do the same. His size and potential to flee for baseball will be the main talking points, but it's his actual play that raises my eyebrow more than anything. From a mechanical perspective, generally he does everything you would want out of a QB. Additionally, his ability once on the move is excellent given his level of experience. He doesn't usually just bail and run. When he does it's with purpose. He usually keeps his eyes locked down field and that's a very difficult thing to coach. It's a good template to start from, but he's got a lot he needs work on too. Most of his bad mistakes happen because of misreads pre-snap and lack of adjustments post-snap. And that's in the Big 12. When the pre-snap decision and/or first read is there his accuracy to all fields is on point, but like many young QB's he has problems when that's not the case. He tends to drift fairly quickly if that read isn't there. His feet are inconsistent if they need reset, which leads to inaccurate throws. He's made some strong throws under duress, but I haven't seen a single one that wasn't also a first read. If the pressure is in there quick he has a tendency to not process info quickly enough and take advantage of plus matchups down field but make a higher risk/lower expected output throw. Probably more that doesn't immediately come to mind. I think a lot of that could be addressed with another year in school, but he chose to come out with just one year of experience. Now decision makers will have to weigh that risk on top of the two main talking points that'll be beaten to a bloody pulp over the next 3+ months. I think it'll take a unique situation to think he's worth the risk wherever he's selected draft day. I expect to take an avoid approach. If I were the Oakland A's I would not budge right now. You can simply wait till after the Draft. He needs to report to A ball as he is under contract. If he is not taken in the 1st round.....his leverage is minimal. If he is taken in the first round then Billy Beane will simply ask himself. Do I project him as a great baseball player? Well of course we do as we took him 9th overall. So how much more are we willing to potentially lose in bonus money projecting him as a future potential elite base stealing CF in The Show. That is what it really comes down to. Kyler is a tremendous athlete. But at 5'9' it will be tough tough sledding in the NFL as a QB. I don't care how great of an athlete he is. That position at the NFL level does demand some height (compared to many other positions that do not). Have shorter stature QB's made it? Yeah. But those are rare exceptions to the rule. He is not close to 6 feet like Brees. So let's not compare that. Brees is just shy of 6 feet. Kyler is well short of 6 feet. He does project to be an elite CF in MLB if he can indeed hit major league pitching which will take some years of development for him. I hope he pursues a baseball career. But it really is about what he wants. It is his life. I personally think he chooses baseball and this is merely a move to leverage some more guaranteed money from the A's. well said. I agree. I think it's more likely he is using this for leverage. Given the uncertainty of baseball vs football, if the draft were held today, I dont think he is taken in the 1st round. and then, yes, all of his leverage is gone. He's projected as about a 3rd round pick. Nobody gets fired over a 3rd round pick. Between the size thing and even more his baseball contract nobody will jump too early for him. As far as draft grades go they are all over the place. Oakland Raiders...he can play baseball and football. I'm of the opinion that the guy's going to measure between 5'9-1/2" and 5'10" at the combine. Can colleges inflate numbers like that? Sure. But I'm not certain that there's a lot of motivation for a weight trainer to randomly make up "He measured 5'9-7/8" in socks." And if this is the case, he's less than an inch shorter than Russell Wilson. This guy does a lot of high level things. I’ll say this: if all you want to talk about is his height, I think you’re missing the forest through the trees.